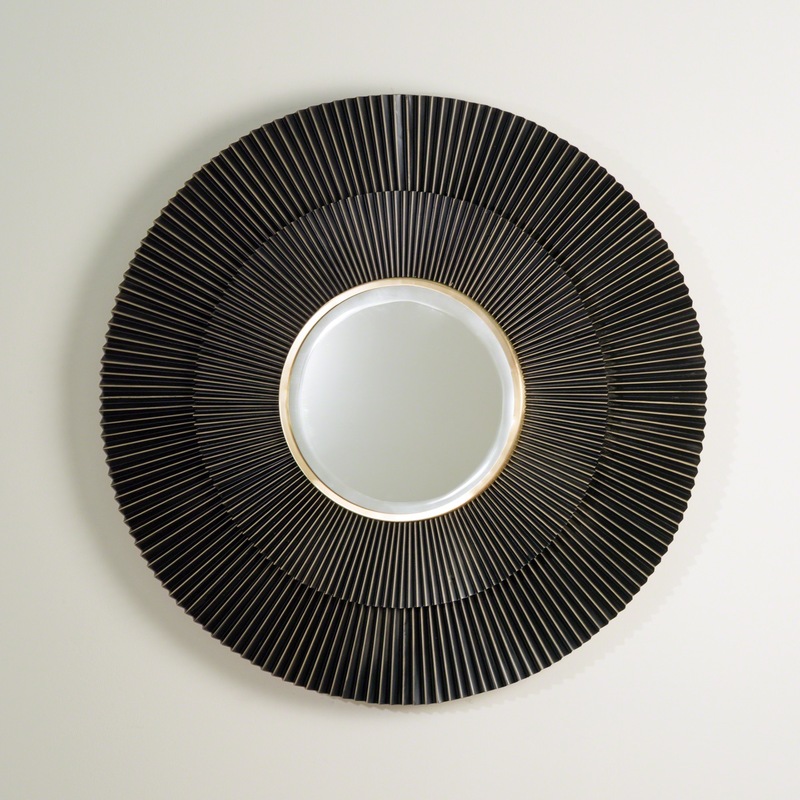 This dazzling mirror's frame is made of hand-crimped steel that is finished in bronze and then accented with brass. 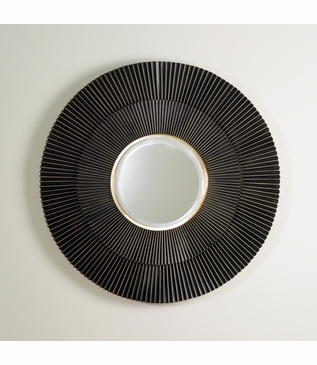 A beveled center mirror further adds to its radiating three-dimensional character. Hangs securely using a 20" metal wall cleat (included). Size: Dia: 41" • D: 4"